With their second win in the match against Cote d’Ivoire, Wedson Nyirenda’s team is headed to the qualifiers of the African Cup of Nations, where they will face Namibia on March 23. The Zambian football team occupies first place in the standings and holds a two-game winning streak. The skills of the team were fully exhibited in the match against Cote d’Ivoire. According to stakers.com, they have recently strengthened their positions in the world’s ratings, moving from the 74th to the 72nd place in the table. Kamara, the coach of the Elephants, was confident of his team’s victory. “We are in good shape. We know what to expect. We were defeated in our first game and if we want to excel, we will have to make our utmost in this match. Zambia feels confident as well because they won their first match. They can afford to lose their second game hoping they can get something from the third game. Chipolopolo is also a very athletic team with skillful footballers in the offense,” said the coach. The first half of the match between Zambia and Cote d’Ivoire started with Mulenga sending the ball into Sayouba’s net in the 8th minute. Soon afterwards, Mulenga had all the chances for a goal yet his attempt was cleared. The pace of the game changed for the Elephants after the goal. However, there was little effort expended to beat the table leaders. In the 30th minute, Mulenga assisted Mbewe – shot off target and there was another sharp moment for the Elephants. Silwimba was booked with a yellow card in the 41st minute. The teams left for the break with the score 1-0 for Zambia. 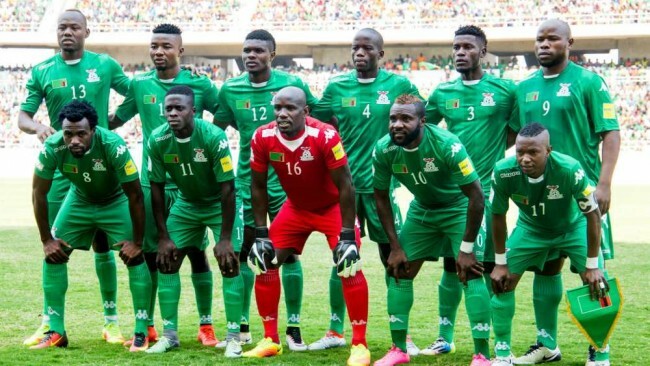 The Elephants put in a great effort to reclaim the lead, yet Zambia’s team dominated in the second half, when brilliant Mulenga scored his goal in the 74th minute, thus making the final score 2-0. As a result, Nyirenda’s team gets 3 points, holding a total of six points by now. Zambia occupies the first place in the standings and moves on to their final match against the team from Namibia. The final Group B match will be held in Casablanca.